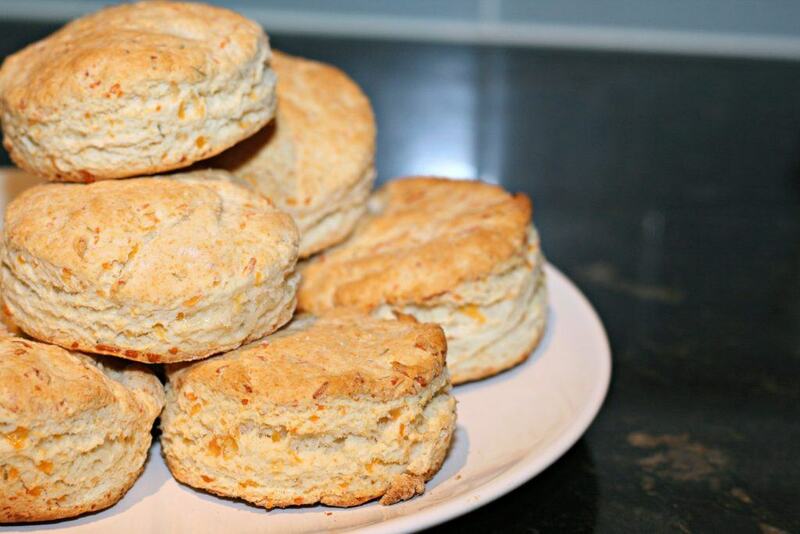 Do you wish to replicate the famous Bojangles biscuit in your home? Then you came to the right place! In this article, I'll be showing you a good Bojangles biscuit recipe that tastes similar to what they serve at Bojangles' Famous Chicken 'n Biscuits restaurants. Since buying the original Bojangles biscuits are too tedious for me, I search for a good recipe that can serve the same taste as the original. After testing all the recipes I gathered, I'm going to share the recipe which I think is the best. Let's get to it! To make 10-12 biscuits, you'll need two cups of self-rising flour. If you're not familiar with this type of flour, don't fret. Self-rising flour contains some leavening agent and salt to give a nice lift to your baked goods. You may need to set aside some more flour to dust the surface and the biscuit cutter. The flour will prevent the dough from sticking. If you can't find any self-rising flour anywhere, you can actually make your own. Simply mix two cups all purpose flour with one tablespoon baking powder and 1/4 salt. Powdered or confectioner's sugar will provide sweetness sans the grainy texture. For this Bojangles biscuit recipe, you'll need two teaspoons of powdered sugar. If you have no powdered sugar in your pantry, you can make your own. Simply put some granulated sugar into a food processor or blender and blend away until fine and fluffy. 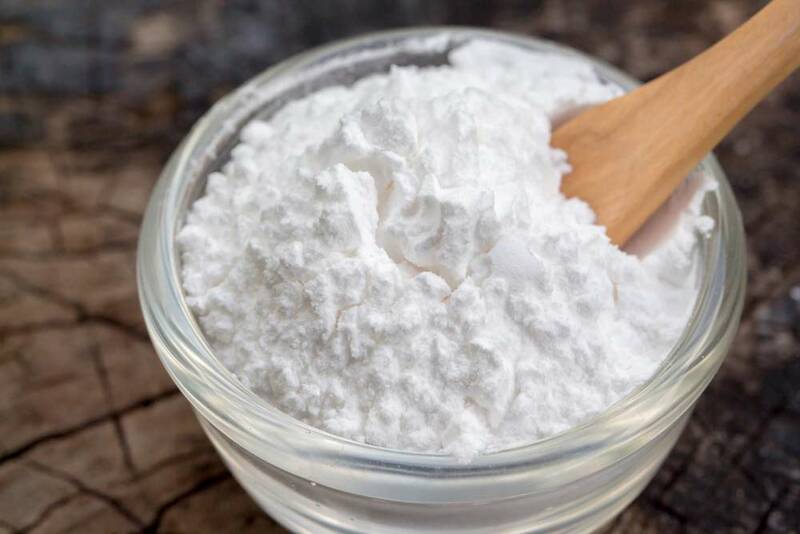 You may or may not use cornstarch. Shortening will make your biscuits fluffy and tender. Without it, your biscuits won't become flaky. 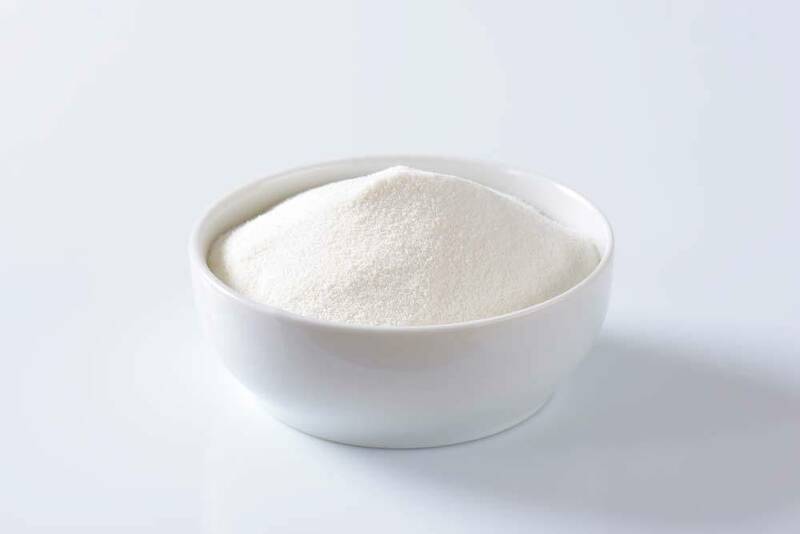 Hydrogenated vegetable shortening is normally produced from palm oil, cottonseed, or soybean. 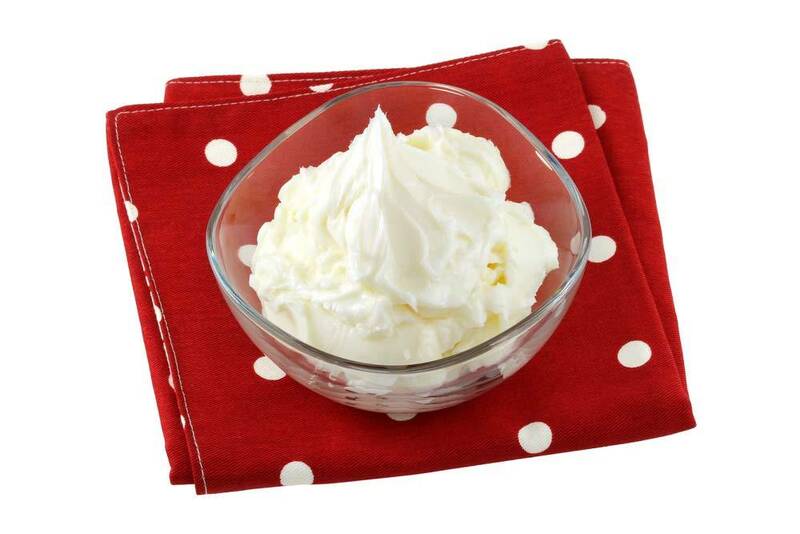 It stays semi-solid at room temperature because it undergoes a specific process known as hydrogenation. For this recipe, you'll need 1/2 cup vegetable shortening. It's best to use a vegetable shortening with zero trans fat. Baking powder will make your biscuits rise. How? By adding carbon dioxide into the mix, it offers a more forceful pressure to expand the dough. You'll need about two teaspoons of baking powder in this recipe. Buttermilk tastes slightly sour due to its lactic acid. When combined with the baking powder, they make the biscuits fluffy and tender. For this recipe, prepare 1-1/2 cups buttermilk. Alternatively, you can replace buttermilk with a mixture of milk and vinegar or lemon. 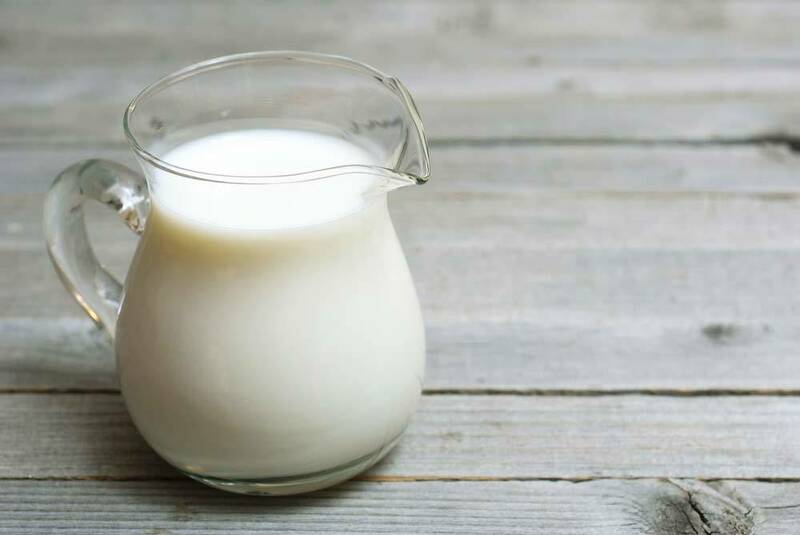 Simply stir 1-1/4 tablespoon of lemon juice or vinegar to 1-1/2 milk. Let this mixture sit for about three minutes or until the milk curdles. Butter will give a creamy taste to your biscuits. You want the butter melted to brush on top of the biscuits. For this recipe, prepare 1/4 cup of melted butter. Melt the butter either on the stove or in the microwave. 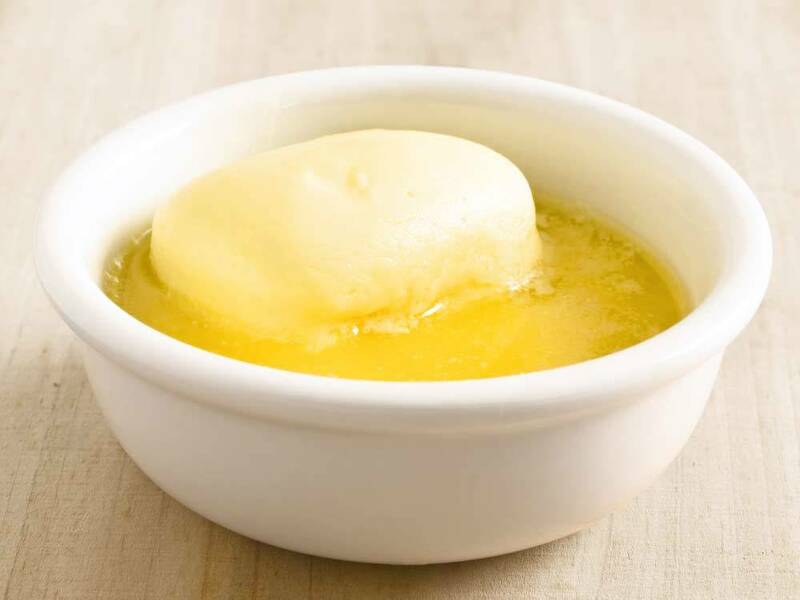 To melt butter on the stovetop, put butter in a heavy saucepan and melt it over medium heat. Remove from heat when the butter is about 3/4 melted, then stir until fully melted. In the microwave, melt butter in small portions. Cover the bowl loosely with a paper towel. Check the butter every 10-15 seconds. The cookie sheet will serve as the container of your biscuits when baked in the oven. The large surface area is ideal for baking a large number of biscuits. If you're planning to buy a new cookie sheet, look for the standard size, 13" x18" as it's not too large. It will give enough room for heat circulation. You may want to avoid those non-stick cookie sheets because they sometimes contain some toxins and chemicals, like PTFE. What I prefer is aluminum because it's thicker and more sturdy. A kitchen sheet pan rack may come in handy when you need to store multiple cookie sheets. Have a look at a h﻿elpful site here. 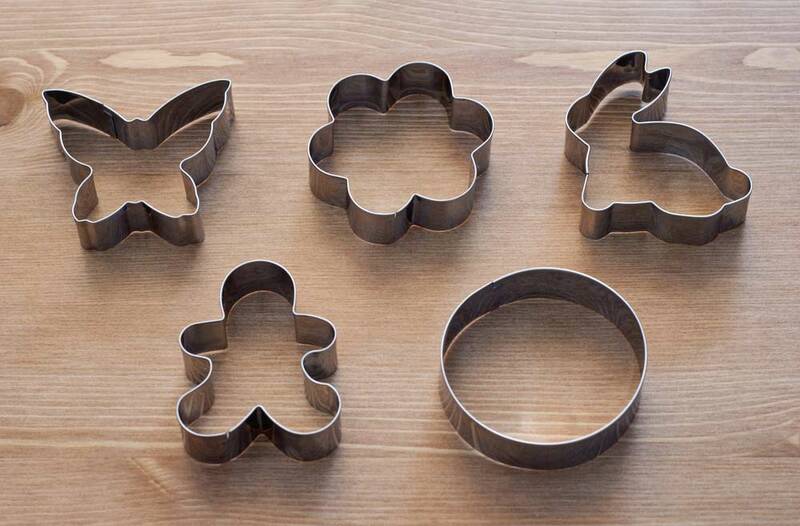 To slice neatly and quickly through the dough, you'll need a round biscuit cutter. The ideal size is about three inches. What I use is a tin-plated steel biscuit cutter which efficiently does the job. A pastry brush comes in handy when you'll be applying the melted butter on top of the biscuit dough right before you cook them in the oven. 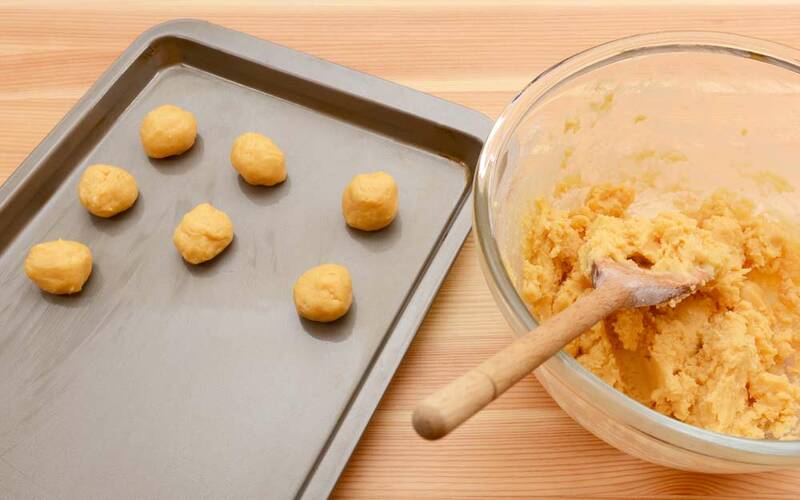 Make sure that you use a clean pastry brush, so you won't impart any extra flavor or bacteria into the dough. To stir the ingredients well, you'll need a fork. 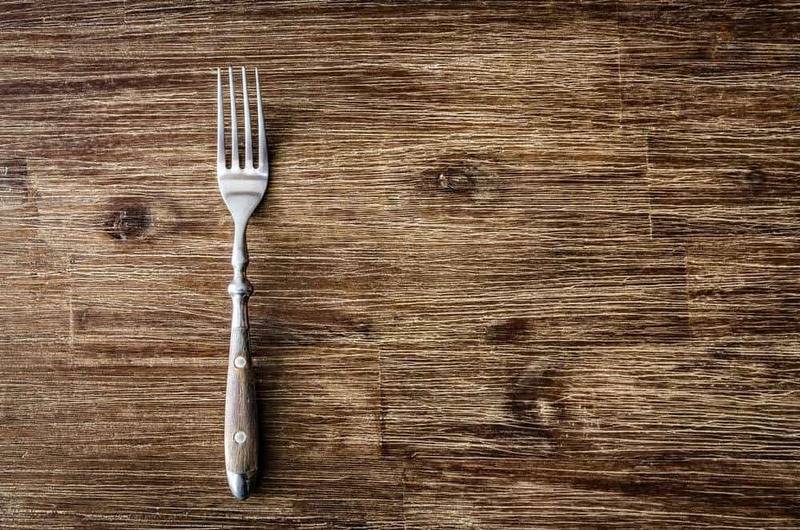 A stainless fork is preferred over a plastic one because it's more durable and it can keep the ingredients cold. Although you can mix the ingredients by hand, using a fork may be neater. 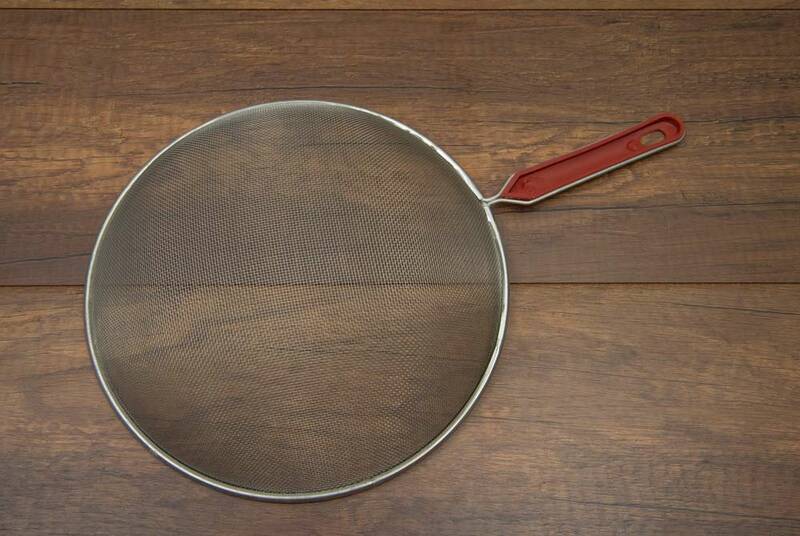 To sift your dry ingredients from any solid particles, use a mesh strainer. A hand-held mesh strainer is preferred because it's easy to control and maneuver over a bowl. A large bowl will serve as the container where you mix the dry and wet ingredients. 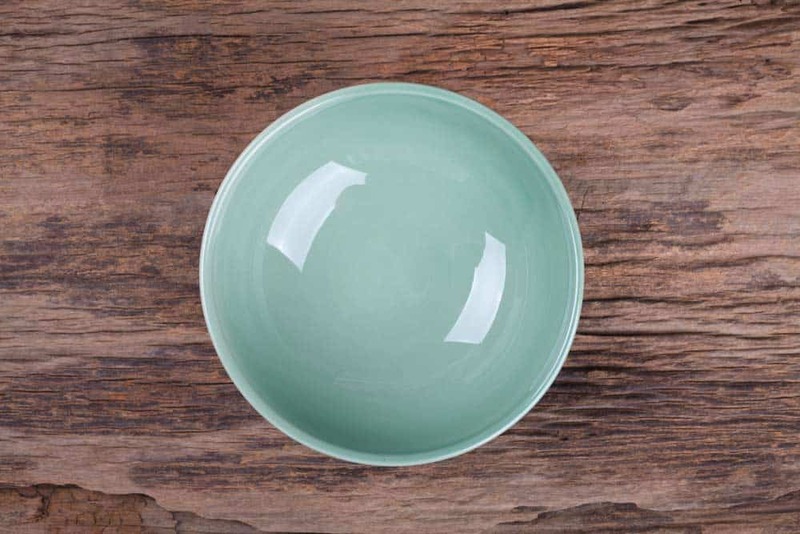 Although you can use any type of bowl you have in your kitchen, look for a sturdy bowl. You don't want a flimsy bowl because it might spill the ingredients in your kitchen with just a little pressure. You'll need a rolling pin to flatten the dough into desired thickness. 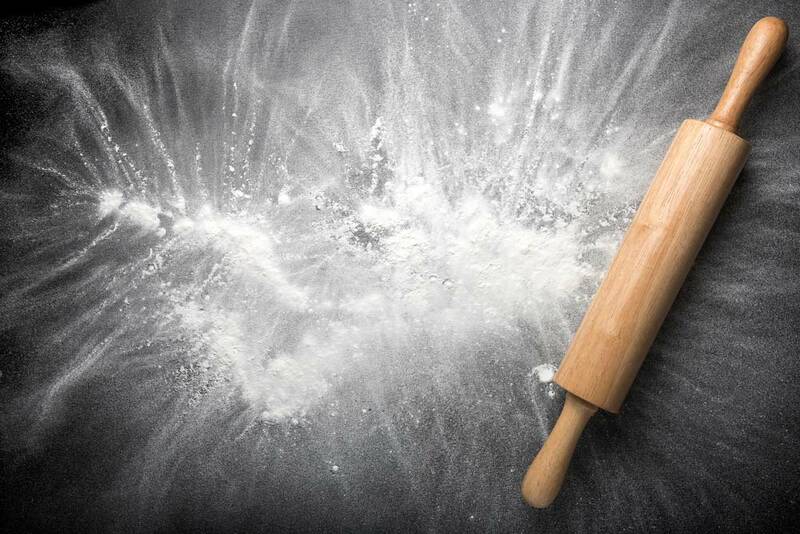 A rolling pin can be made of several materials: silicone, wood, or metal. 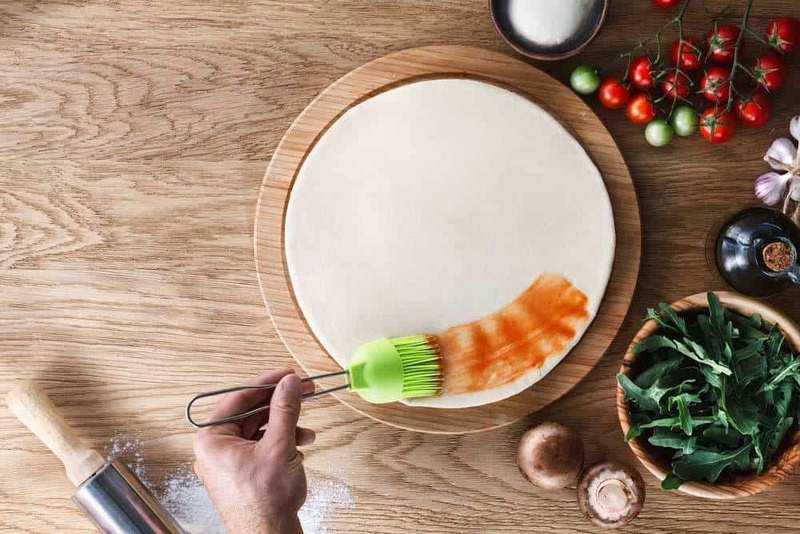 A nonstick-coated steel rolling pin may look promising but it can be really heavy to use. What I prefer is the wood pin with a slightly rough texture to grip the dough well. Before you make the dough, preheat the oven to 450 degrees Fahrenheit. In a bowl, place the mesh strainer over it and sift the dry ingredients: two cups self-rising flour, two teaspoons baking powder, and two teaspoons powdered sugar. Stir the dry ingredients with a fork and create a hole in the center. Now, cut in the solid vegetable shortening into the center of the flour mixture. Work the shortening into the flour until it achieves a fine crumb texture. 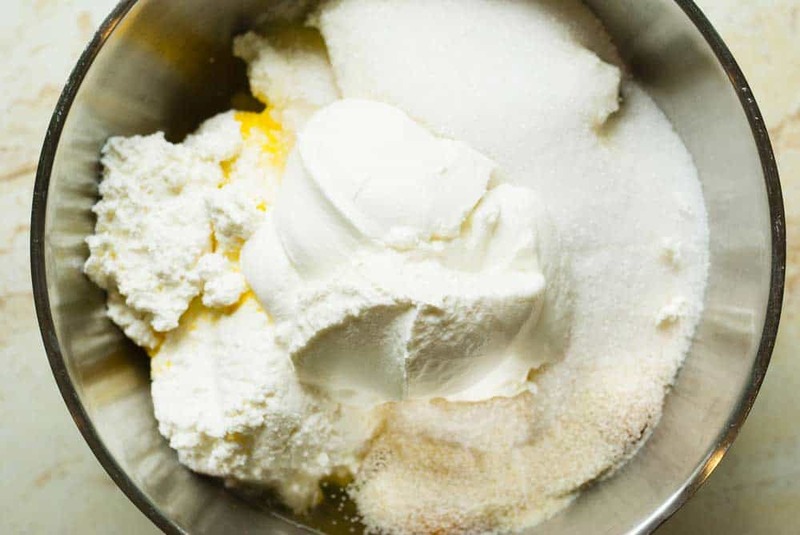 Next, pour 1-1/2 cups buttermilk gradually and stir with a fork until it forms a soft dough. To begin rolling, flour your working surface and turn the dough out onto the floured surface. Knead the dough 8-10 times then roll it to 3/4-inch thickness with your rolling pin. Avoid overworking the dough because it may result to very dry biscuits. Once you achieved the desired thickness, cut through the dough using your biscuit cutter. You can flour the biscuit cutter first to prevent it from sticking to the dough. Don't twist, just push the cutter through dough and pull the biscuit straight out. After you have cut the biscuits, lay them on the cookie sheet. Make sure that you place the biscuits in equal spaces. Using your pastry brush, coat the tops with melted butter. Finally, place the cookie sheet with biscuits in the oven and bake for about 12-15 minutes or until golden brown. Once the allotted cooking time has passed, remove the biscuits from the oven and serve. Aside from sifting dry ingredients to remove any lumps, Cupcakes And Cashmere suggests freezing the dry ingredients to make flaky biscuits. When mixing dry ingredients, resist the urge to use your hands. Instead, use a metal fork or spoon to keep ingredients cold. If possible, work only on cold surfaces, such as metal or wood. 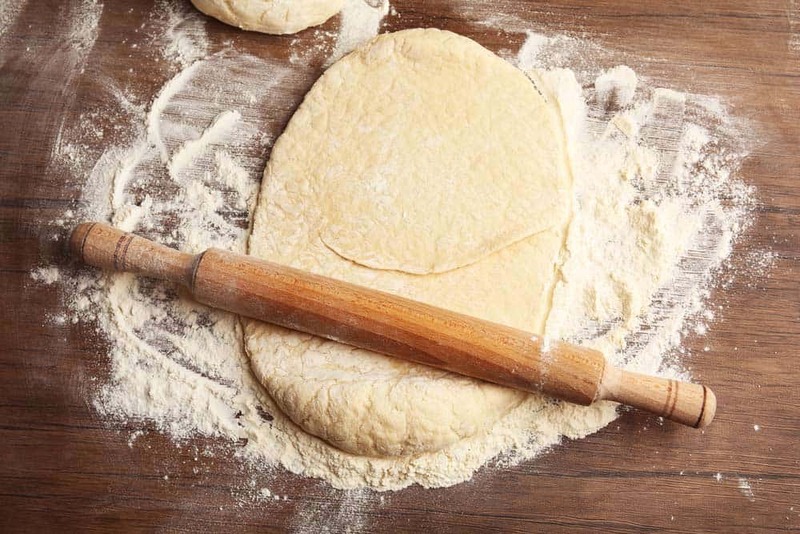 Before you roll the dough, shake the dough to remove any excess flour. 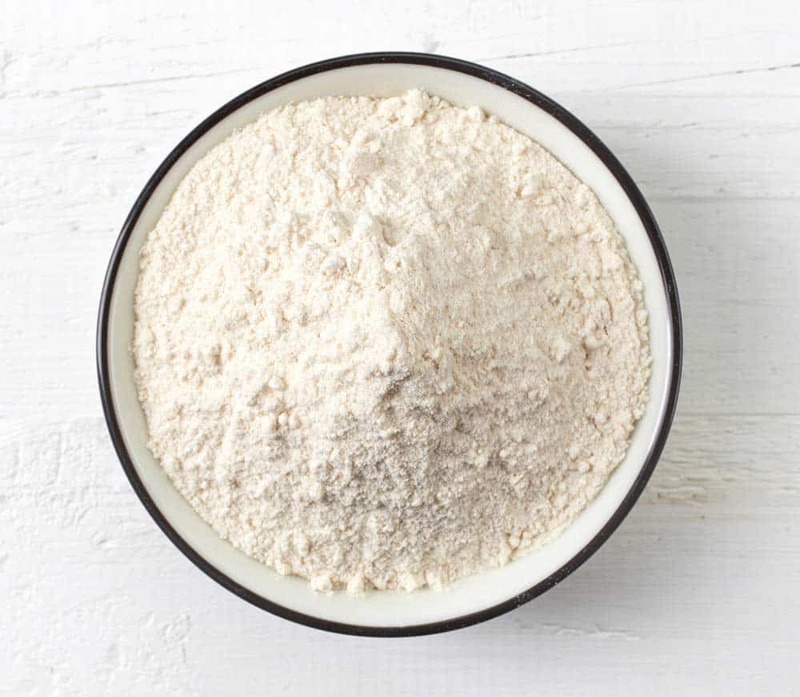 When you begin to mix and stir, King Arthur Flour suggests that you use gentle touches. Each time you work on the dough, you're encouraging the gluten to develop. The more you agitate the gluten, the harder your biscuits will become. If possible, knead the dough a few times only. A few folds will make the dough cohesive. Your goal is to see some sprinkles of flour on the dough. You don't want a smooth dough. To accomplish a nice even dough, celebrity chef Jamie Oliver suggests turning your dough as you roll. You can also roll in various directions to make sure that you got all surface covered. If possible, keep your working surface floured. When your biscuits come out in the oven, make sure to do some tweaks to neat them up. If you see some burnt bits, chop them off with a knife. For wonky edges, straighten them out with a cheese grater. Now that you know this simple Bojangles biscuit recipe, I guess you don't have to visit any Bojangles' Famous Chicken 'n Biscuits restaurants. With a few ingredients, you can serve delicious biscuits straight from the oven. My family was pretty ecstatic about this recipe because they taste delicious and so easy to make. If you have tried making some Bojangles biscuits at home, let us know your thoughts in the comments section. Please do share this article with your friends and family if you found it useful. Thanks! A great recipe – thanks for sharing! The tip about flouring the biscuit cutter has saved my life!